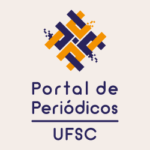 The Journal Portal of the Universidade Federal de Santa Catarina (UFSC) was officially created in 5 May 2008 on the initiative of the Department of Information Science Faculty. The following year, the Portal started being managed by the University Library together with an Advisory and Deliberative Council made up of representatives from various university sectors. With a multidisciplinary team, the Portal aims at promoting access, visibility, security and support to editors of UFSC scientific journals. It uses the Open Journal Systems (OJS) publishing software and provides open and free access to 45 scientific journals.